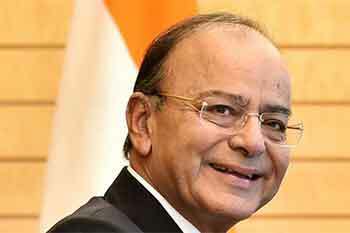 The key pillars for FM budget are likely to be - continued government spending to build a world class infrastructure for sustained growth (railways, airports, ports and roads), improve agricultural productivity and better target subsidies to put more money in the hands of farmer for reviving rural growth, healthcare and education (upskilling the existing talent pool), 24x7 electricity for all and affordable housing. “This will be Finance Minister’s last full budget before next year’s general election. The twin impact of demonetisation and GST is fast receding as Indian economy has picked up steam in recent time with more and more green shoots of growth being visible now. But challenges to the economy have not gone away. Namely - fiscal deficit (high government spending), private sector investment, job creation and rural sector continuing farm distress. In its latest World Economic Outlook update, the IMF projected India’s GDP growth rate at 7.4% in 2018 and 7.8% in 2019. Another shot in the arm has been - India has emerged as the fifth most attractive market for investments based on a survey of CEOs by global consultancy PwC. This is real positive commentary on the state of business and growth prospect of India. The key pillars for FM budget are likely to be - continued government spending to build a world class infrastructure for sustained growth (railways, airports, ports and roads), improve agricultural productivity and better target subsidies to put more money in the hands of farmer for reviving rural growth, healthcare and education (upskilling the existing talent pool), 24x7 electricity for all and affordable housing. The building blocks are already in place and now the time is right to stitch them together by incentivising private sector investment too.